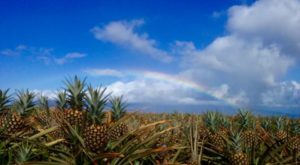 With approximately 750 miles of stunning coastline, the Hawaiian Islands are home to countless incredible beaches, bays, and coastal gems. 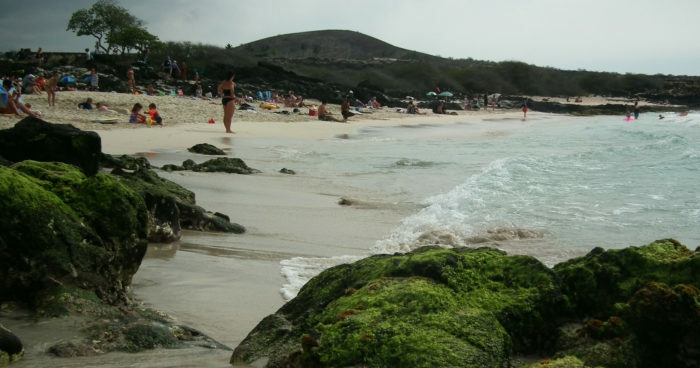 While we are happy to visit any of our islands’ breathtaking beaches, there are some one-of-a-kind beaches that are a cut above the rest. 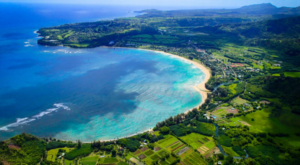 This stunning stretch of sand nestled along Hawaii Island’s coast has it all: tidepools, a fishpond, coconut palms, crystalline waters, stellar sunsets, fine white sand, and so much more. Let’s take a look, shall we? 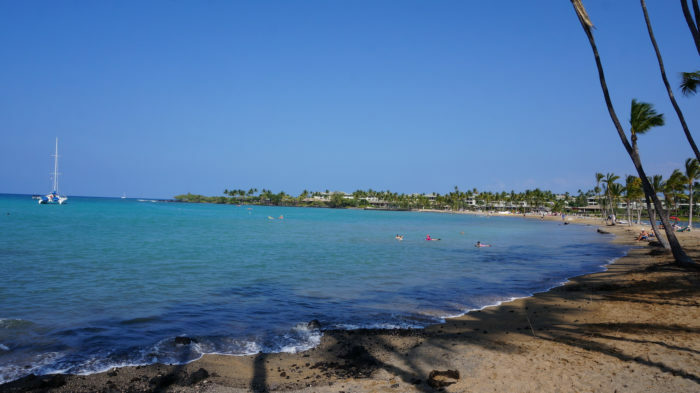 Located on Hawaii Island’s Kohala coast near the Waikoloa Beach Marriott Resort Resort, Anaeho'omalu Bay is one of the area’s prettiest beaches. 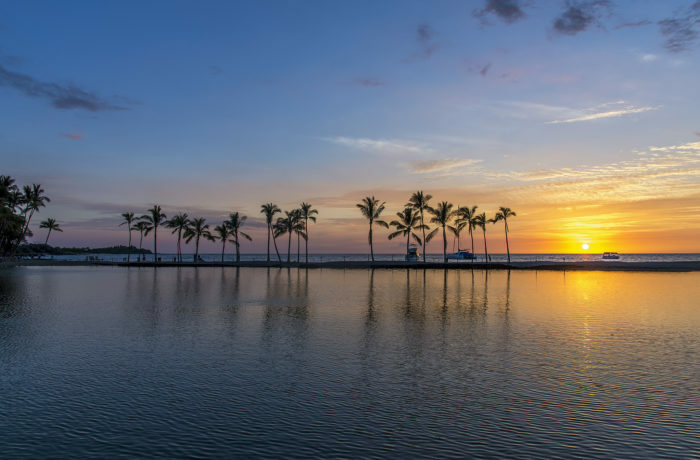 Conveniently located just minutes away from some of the islands' most popular resorts, Anaeho'omalu Bay is a must-visit on any Hawaii Island vacation. 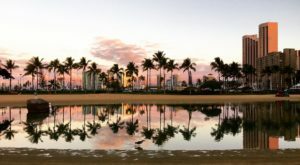 Protected by an offshore reef, the ocean bottom drops off gently, and the beach is popular for a variety of ocean sports — from swimming and snorkeling to windsurfing, scuba diving, and surfing. 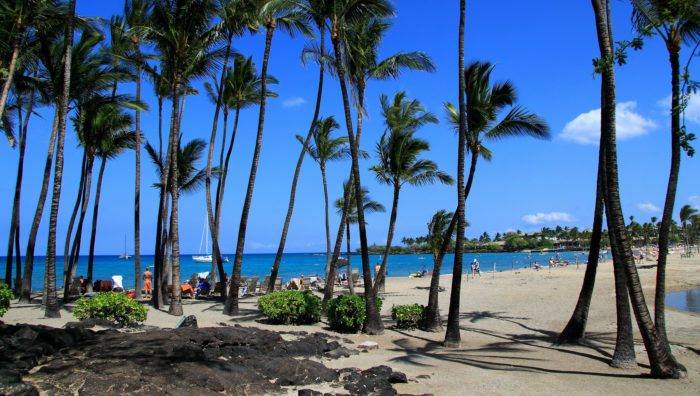 ...and a large grove of coconut palms, Anaeho'omalu Bay has it all — as well as restrooms, showers, and a conveniently located parking lot. But that's not all. 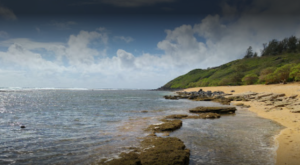 Just behind the beach, you will find two ancient Hawaiian fishponds: Ku’uali’i and Kahapapa. 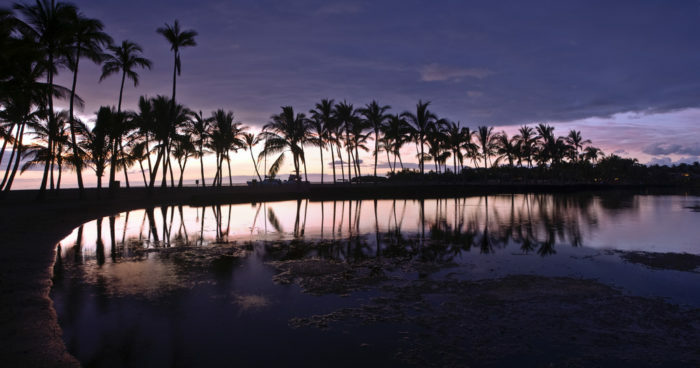 The ponds were once used by Hawaiian royalty to raise mullet and other small fish. Maintained by fishermen who lived in the area, the fish raised here were only given to royals. 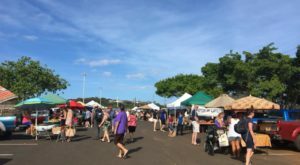 Logical, considering that Anaeho'omalu translates to "restricted mullet" in the Hawaiian language. 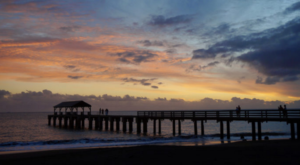 Known by locals as A-Bay, this dreamy destination is a favorite among amateur and professional photographers alike. 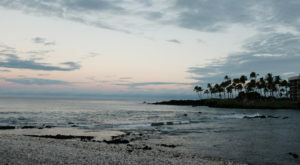 The fishponds boast interesting colors, and the sunsets from the shore are simply second to none. 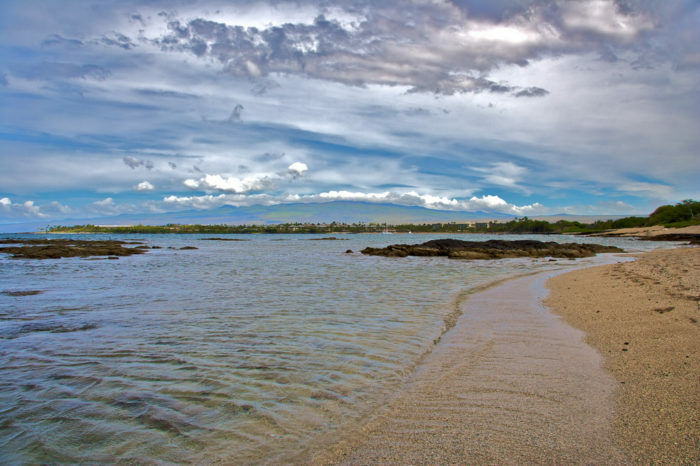 If you’ve never visited Anaeho'omalu Bay, you’re missing out. 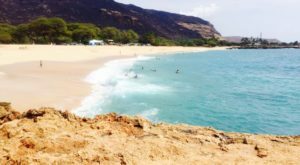 Not only is this an excellent destination for swimming and snorkeling, but it’s full of history and is as pretty as a postcard. 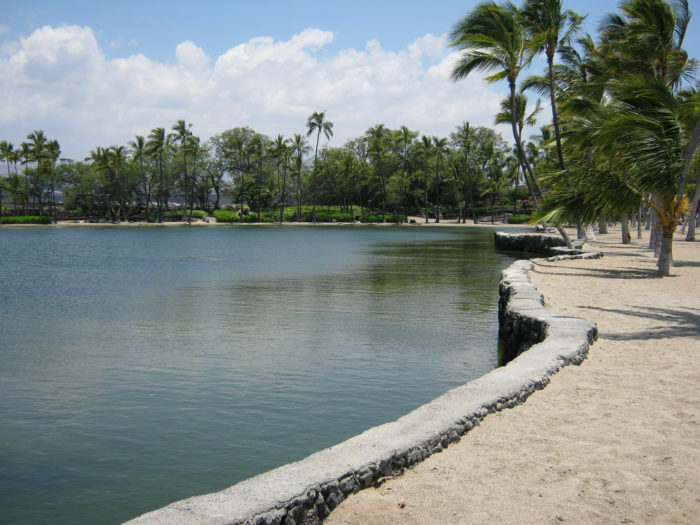 Have you ever visited Anaeho’omalu Bay? 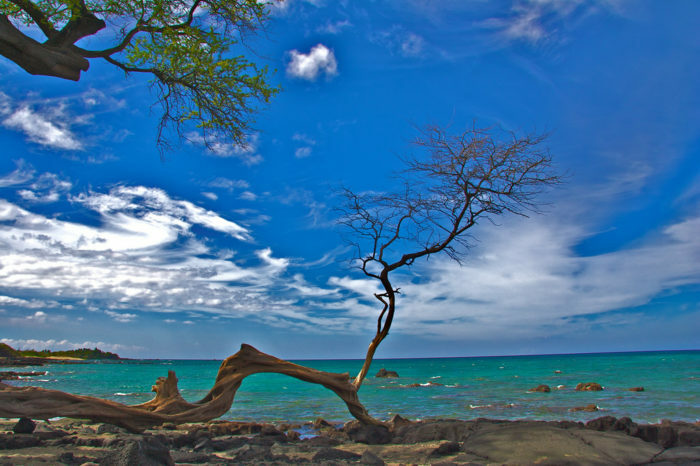 Share your experiences and opinions in the comments below, and then join our Hawaii Nature Lovers Facebook group to share your favorite beach photographs. 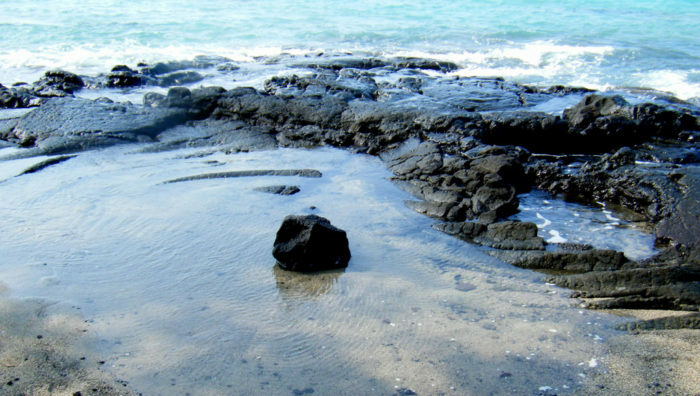 You might also want to check out the nearby Kealakekua Bay.